As a follow up to last week's blogposthere. We are lowering trading fees across the board. To bring our pricing more in line with the market standard, we're lowering our starting taker fee to 0.20% and our starting maker fee to 0.10%. We are lowering volume thresholds for fee discounts. 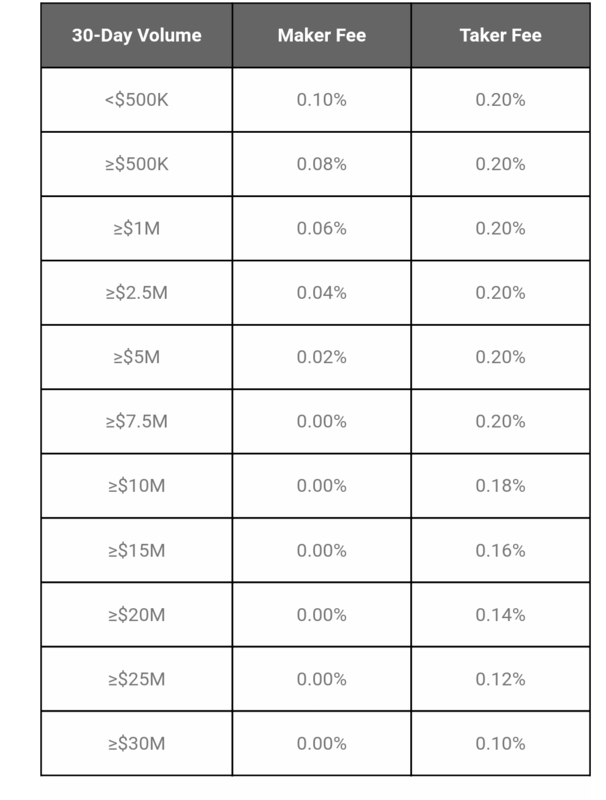 Fees for makers will go to 0% when they trade $7,500,000 in a 30-day period; fees for takers will go to 0.10% when they trade $30,000,000 in a 30-day period. Remember that you can check your current tier by visiting the Trading Tier Status pagehere.